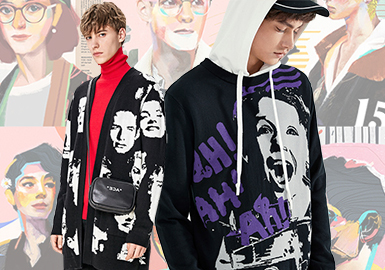 This season, figurative or abstract portraits are played out through photos, sketches, dynamic scenes or playful comics to characterize men's knitwear. 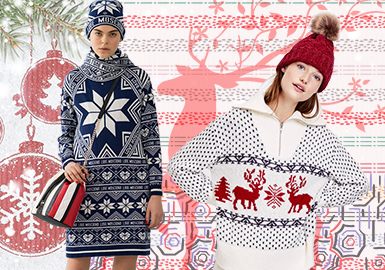 Nordic style goes stronger as Christmas is coming. Running reindeer deliver happiness of the holiday. Clear snowflakes are flying in the sky, while snowman and gingerbread man show the romance of winter. 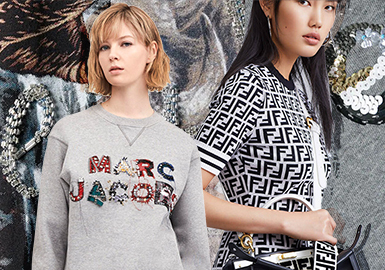 This season, renowned brands like Fendi, Dolce & Gabbana and Versace update garments with decorative letters. Refined details reflect an upscale feel. As people expect new rituals and ceremonial spaces, mystical and vintage patterns are revisited in A/W 19/20. 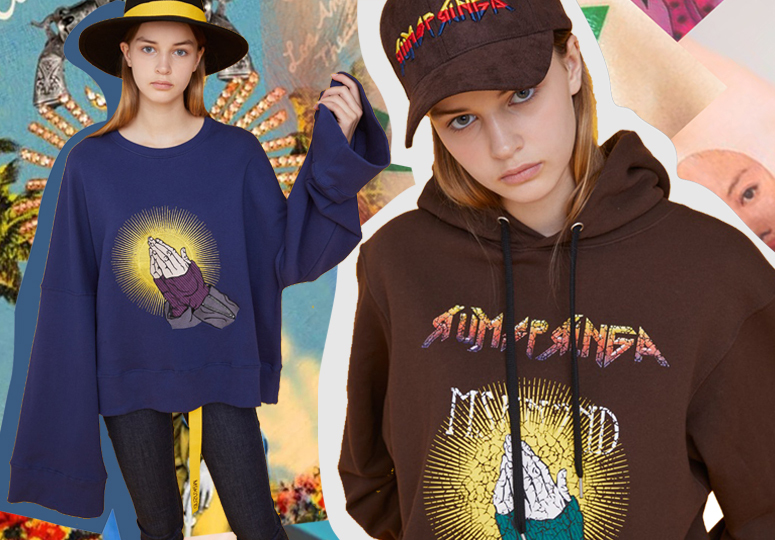 Religious motifs are widely used on casual streetwear. A dark aesthetic drives newness for hand-drawn illustrations, with subjects ranging from animals and skeletons to religious iconography.